with The third part of web design tutorials. In the last part we discussed about Introduction to HTML and HTML basic syntax. Today we will discuss about HTML tags, line break-up, Heading. At all times, HTML tags start with the Less Than (<) sign, which began with the Greater Than (>) symbol. So, <html>, <head>, <body> is written. Each tag is about to begin and end. Therefore, the <html>, <head>, <body> tag has the tag </ html>, </ head>, </ body> This is the end. Less Than symbol tag to end a Forward Slash (/) character is. 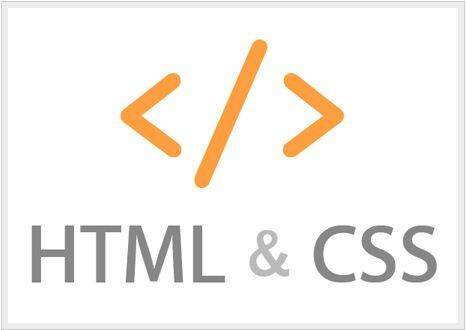 Html tag is the <html> and ends the </ html> . The only difference here is a Forward Slash In addition. Tags do not appear directly in the browser. However, the type of content can change HTML tags. I’ll now clear to you through an example. If the index.html file in the browser to display This is Italic Text Italic text will appear in style. For example, we’ve used italic tags. In addition, the text bold, underlined in order to separate tags. For example, … (paragraph text in order to determine. ), <i> … (italic text to set), <b> … (bold text to determine) , <u> … (underlined text to determine) there are also a lot of tag. We will discuss it in phases. Line break-up tags are used for a line break. We have no MS Word lines by the end of the keyboard to start a new line, enter the (Enter) Press said. Similarly, a line of HTML to start up a new line-up of HTML tags are used to break the line. Line break-up of the HTML tag, with the exception of Tags. For example, the line break tags are not like other tag. The line break-up <br /> is written to the tag. Display the index.html file in a browser. Below you can see the lines were equipped with ice. If the index.html file displays in the browser you can see the shape of six heading. Heading tag on each of the break-up, I’ve used the line is equipped with the codes below. I think, now you can understand a little bit. don’t worry. I will come back very soon with lots of information in my next tutorial. Stay connected with us.